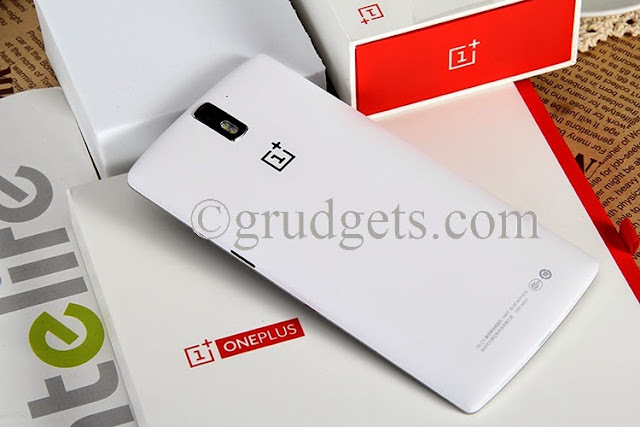 Buy Oneplus one - Review, deals, discounts. You are here: Home / Android / Buy Oneplus One smartphone now – No invite needed! 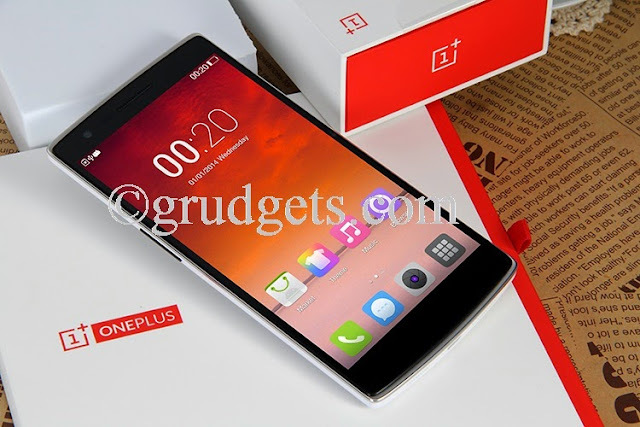 Are you the one who is looking to buy Oneplus one? Aren’t you frustrated that in spite of being ready to pay, you are not able to buy one for yourself. To remind you, it is high quality flagship device with best specifications and that too, at mouthwatering price. I’d say it is the best Android smartphone that you should and must buy in 2014. Here, I have explained how you can get Oneplus one through invite and some stores which are selling it currently. This seems to be daunting task for most of you. Actually it is. Everyone who gets Oneplus one, receives limited number of invites which he can give it to family or friends. So, next time if someone tells you that he got one recently, just ask him for an invite and don’t be shy! You can even join few groups on Facebook, communities on Google plus related to this smartphone, there are many people who post screenshots in excitement as soon as they get it. You can than contact them and ask for an invite. Another way would be to grab one from contests and promotions that are hosted on Oneplus forums from time to time. Many blogs are also giving out invites, not sure though. When you receive an invite, you can login to the site using the link and make your purchase. Oneplus one had been appreciated by many Android enthusiasts mostly because of its price tag. Google’s and LG’s nexus 5 is the only smartphone that matches closely with Oneplus’ specs-price ratio, and it is competing strongly against N5. It is huge device, which measures 152.9 x 75.9 x 8.9 mm and weighs about 162 grams. The back panel houses camera in the middle, followed by dual LED flash. 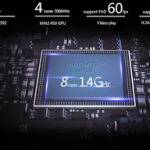 The performance of this device is backed up by 2.5 GHz Qualcomm Snapdragon 801, which is currently used only in high end flagships like Xperia Z2 and HTC ONE M8. Want more? It even has Adreno 330 GPU so that you can enjoy each and every game made for free. 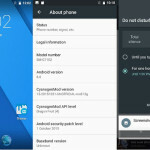 As far as software is concerned, it runs on Cyanogen Mod 11S, which is exclusive version of the OS based on Android KitKat 4.4.2. There are no bloat-wares which many manufacturers include on your device, you get complete stock android experience with Google apps like Drive, chrome, Gmail, YouTube, Maps and Hangouts. Moreover, Cyanogen Inc. has openly declared that it will be providing updates to this device for the next 2 years, with Android L expected to arrive less than 3 months of its release. The display is 5.5 inches, which uses IPS panel. Number of pixels per inch is about 401, which is pretty close to Galaxy Note 3. Sunlight legibility is quite good and you do not have to struggle like in most of the low prices devices. The display is surrounded by thin bezel from left and right side which is close enough to N5. The display is coated with Gorilla Glass 3 so as to avoid any scratches or damages. The main snapper present at the rear has 13 megapixels, which includes dual LED flash for better low light imaging. 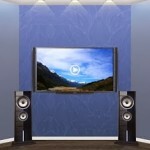 It is capable of recording 2160p 4k HD videos, which makes it outstanding than other flagship devices. The front camera is 5 MP, which is again capable of recording 1080p HD videos. Overall, it proves out to be good device to suite your imaging needs. All images in HD, click here. Oneplus one boasts 3G as well as LTE connectivity, with micro SIM card slot. You would be able to get high speed data access through LTE connectivity, up to 50 mbps download speed. 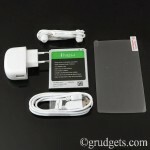 Additional features include Bluetooth v4.1, micro USB, 3.5 mm earphone jack and NFC. Surprisingly, it also supports USB OTG and USB host features. It is available in 2 variants, 16 GB and 64 GB. There is massive 3 GB of RAM included, against N5’s 2GB. The device draws juice from 3100 mah battery which is Lithium ion polymer type. It is enough to keep the phone backed up for entire day. The 16 GB variants of Oneplus one will cost you about $249 while the 64 GB for $349. It is better you get 64 GB model, since there is not much price difference and no external SD card support. There are certain stores that are currently offering one unlocked version, but with higher price than what you’d pay to buy it from their official store. I don’t have any idea how they might have managed to get so many invites! Anyways, let me tell you the stores from where you can order them online, without any invite! Note: It is recommended that you contact individual stores before buying this phone, whether the particular model supports LTE networks in your region. Do not buy directly without any enquiry. The largest online retailer, Amazon is offering 64 GB variant for $523. This is almost $200 higher than its genuine price tag, but good for the ones who cannot wait to release in their country. I’d say it is still pretty good deal considering the features offered. Buy now from Amazon. Indian visitors can buy from Amazon India for 39,300 INR. (64 GB). 1949deal, one of the renowned stores that offer Chinese smartphones is offering 64 GB variant for $449.99. This is pretty good deal, just $100 higher. Remember, even Xperia Z2 with same specs will cost you more than $600. Buy from here. Geekbuying is charging $456 for 64 GB variant. They are currently running an offer wherein you can grab the 64 GB edition for just $379.99. Isn’t that close to original price? Click on this link to buy Oneplus one now, before it gets out of stock! I have checked it on Amazon India but till date it’s not launched in India and not giving any release date and Price.? Can you know any tentative date for oneplus smartphone release date.? It was listed on Amazon India previously, but went offline now! No idea whats going on!